We give good literature another chance to be seen by the world. To see the articles select a category in the footer below. If you are tired of knocking on publisher’s doors simply to find that they do not want your work or they accept first publication only. Most publishers include Internet publishing as being a definition of being a published work, thus making Scriggler and WordPress articles, poems and stories ineligible for their pages. Major publishers are not interested in anyone that does not have half a dozen books that have been published successfully. It costs a lot of money to bring a writer to the point of being salable. They always hedge their bets. You also probably noticed that most publishers take submissions only from agents. Agents only want successfully published writers. Yes, it is a Catch 22. Joseph Heller coined the term in 1953, though his book of that name was not published until 1961. It is the same story that has plagued us for decades. The world of publishing is like a casino whose policies are stacked against the writers who make good literary content. Unless it is of great topical importance or written by a celebrity with a following, they mostly publish tawdry romances and works from writers of bulk or pulp fiction. Fot this reason, we have founded HELIOS. We expect that it will take a while to get this up and running. We expect many changes will be made along the way. All we can promise at the moment is to prepare fine materials for further publication and exposure. The first step will be editing for publication and further web publishing, then both printed and electronic anthology collections. Kenneth Harper Finton has been publishing books and journals since 1993. These publications have come out of many imprints, HT Communications, HTC Enterprises, Heliotrope Press and Music, The Plantagenet Connection, and several other imprints. Ken has worked as a literary agent and a theatrical agent. He have been employed as a staff writer for a New York publishing company. He believes that digitized works are now the future of lasting communications. He also realize that most people are lost in the shuffle and over choice that free access to digital media provides. Writers without readers are like cops without robber and firemen without fires. They serve a purpose, but it is all a potential purpose. Ken still believe in the printed word as well, for nothing is quite the same as holding a freshly printed book in your hands and smelling the ink instead of more late night television. Most books will end up in the recycling bins, but the good ones will be passed from generation to generation. It is always good to be in print – and hardback editions are even better, though more expensive to produce and buy. Where this effort will lead is unknown, as none of us foresee the future well. We will have a good time, add to the literature of the age, and gain a certain notoriety along the way. 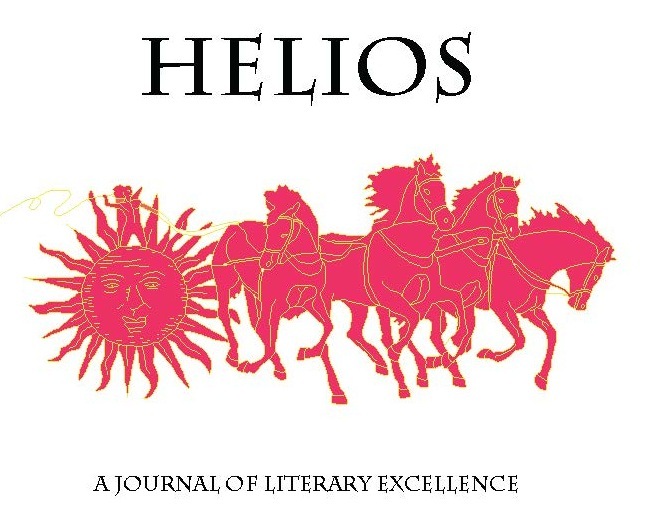 Welcome to HELIOS. Your submissions will be carefully considered.